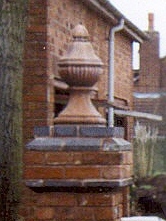 Each finial is approx. 550mm high and 250mm wide and each weighs approx. 40kg.